Home Fitness & Bodybuilding Squats vs. Leg Press: Which Is Best for Muscle Growth? When it comes to building strong, powerful legs, squats are the gold standard. For many years, there has been a huge debate on the squats vs. leg press. Which exercise works best for muscle hypertrophy? Which one puts less pressure on the joints? Are squats safe for lower back and knees? Are Squats Better Than the Leg Press? Research shows that both narrow stance and wide stance squats activate more muscles than the leg press. Squat variations lead to higher levels of hamstring, quad, erector spinae, and glute activity than the leg press. World famous bodybuilders such as Ronnie Coleman, Tom Platz, and Branch Warren claim that there is no single exercise that can replace squats. This leg exercise also involves your back, arms, and shoulders to balance the weight and stabilize your upper body. The leg press provides more support for your core and back muscles, which allows you to focus better on working your legs. The squat range of motion about the hip joints and knees is quite large, which leads to greater muscle development. Most fitness experts claim that squats are the most effective exercise one can do for leg/glute hypertrophy. Not only it pumps up your legs, but also boosts your metabolism, increases testosterone and growth hormone levels, and makes your whole body grow. Let’s not forget that squats are a functional exercise. This means that it mimics your body’s natural movements. Studies have shown that the leg press makes athletes more prone to lower back problems. Both the squat and leg press are compound exercises that involve multiple joints such as the knees and hips. While both work the quads, glutes, and hamstrings, the squat requires more stabilizing muscles. Additionally, the leg press has a shorter range of motion than full range squats. However, this is not necessarily a bad thing. The shorter range of motion leads to constant tension and pump, which can stimulate muscle growth. • If you have back problems, go for isolation or isometric exercises such as wall sits and leg extensions. • If you have hip problems, choose the leg press. • For leg hypertrophy, do both squats and leg presses. • For glute hypertrophy, focus on squats. • If you’re trying to get stronger, go for deadlifts and squats. Both exercises have pros and cons. Squats are superior to leg press because they improve coordination and balance. This exercise involves your entire body. Doing squats is the best way to develop a good base. On the other hand, the less press allows you to lift more weight, which would cause the localized stimulation of the hamstrings, quads, and calves. This will result in a massive lower body. 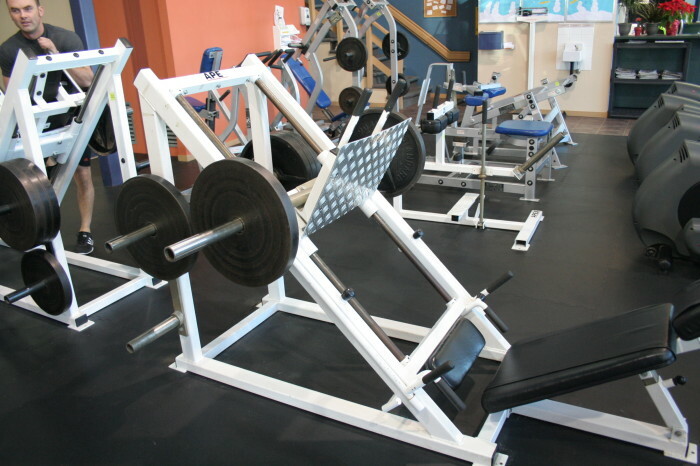 Plus, the leg press machine provides proper positioning and safety. Since you’re using your hamstrings and glutes less, you put more emphasis on the quads. The leg press can be used along with the squat for increasing quadriceps hypertrophy. There are plenty of reasons to incorporate both in your training. You can either do both exercises the same day or alternate your squat and leg press days. These popular leg exercises are the key to seriously jacked quads. Hey juat wanted to give you a quick heads up and let you know a few of the pictures aren’t loading correctly. I’ve tried it iin two different web browsers and both show the same results.